Everyone loves to play mini golf so this one needs no description. We can tell you that some of the holes are very challenging. There are even holes with moving hazards, water and bridges, sand traps, buildings, fossil rocks, among other. 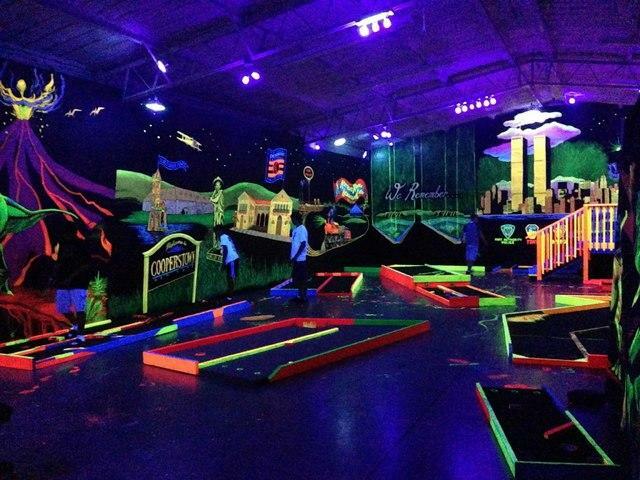 We can also tailor the course to match your theme party. There is even a black light option or glow in the dark option.